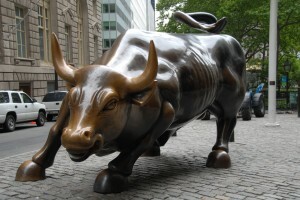 The bulls represent those who have power and wealth that have surrounded Christ. They come before Him in their robes and fineries, with their rings, bracelets, and crowns, wagging and pointing, while the King of Glory is nailed to the cross stripped bare. Is it any wonder how easily wealth blinds us to the truth. Why were bulls now become a ravening and roaring lion? Ravening means to tear to pieces. This shows the hatred and animosity the enemies of Christ have toward Him, seeking to devour Him so there would be no trace. Although their tactics have changed, this is still the goal of the enemies of Christ two millennia later. False religions, cults, liberal and tolerant theologies seek to confiscate from history and memory the authentic and Biblical Christ. They seek to cast off the authority and sovereignty that only the King of kings and Lord of lords can wield, and none can take it from Him. So now, today, they have an easier target, they attack the Church; seeking to discredit us; render us irrelevant and impotent. And unfortunately, they have often been successful at this. There’s irony within this imagery. Bulls, start out as calves; and this was the image the sons of Israel conjured up in the wilderness when they needed an image to worship ( Ex 32). Before Moses could deliver the stone tablets of the Ten Commandments, man was trying to define God. For how many days and nights had they seen the power, guidance and care of God manifest as a pillar of fire by night, and a pillar of cloud by day? But it’s tough to create and worship such a manifestation. Yet even with their limited exposure to Him, they felt there was not enough of a deterrent to not create their image of The Most High; and soon all sorts of false theology followed. Somewhere, somehow we need to remind humanity of what they already know: His [God’s] invisible attributes, His eternal power and divine nature; and in such a way that is not so easily set aside. But how do we do that? Christ is known as the Lion of the Tribe of Judah: I saw in the right hand of Him who sat on the throne a book written inside and on the back, sealed up with seven seals. And I saw a strong angel proclaiming with a loud voice, “Who is worthy to open the book and to break its seals?” And no one in heaven or on the earth or under the earth was able to open the book or to look into it. Then I began to weep greatly because no one was found worthy to open the book or to look into it; and one of the elders said to me, “Stop weeping; behold, the Lion that is from the tribe of Judah, the Root of David, has overcome so as to open the book and its seven seals.” ( Rev 5:1-5). We see from the above narrative, that in all of creation, there is none who is worthy to open the seals other than Christ. But man in his arrogance and pride, sees himself as one with power and authority. And even though he may convince himself and others of such a claim for a season, there is only One who is worthy and has such authority. Will you accept your true place before God now, humbly accept Him as Lord? Otherwise you will be constrained to do so later, at the judgment. This entry was posted in All Entries, Lent and tagged Create, False, Humble, Idol, Image, Power, Truth on March 8, 2019 by Steven Davis.